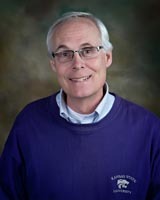 Kris G. Kimple, M.D. attended the University of Kansas School of Medicine, graduating in 1989. He completed his Family Practice Residency at St. Joseph Medical Center, Wichita, Ks. in 1992. 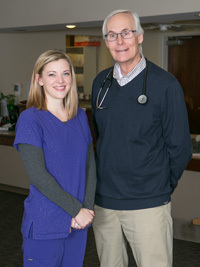 Dr. Kimple joined the staff of the Beloit Medical Center, P.A. in 1992. He is board certified in Family Practice. He is a member of the Kansas Medical Society, the American Medical Association and a Fellow in the American Academy of Family Physicians. Dr. Kimple and his wife Melinda have three grown children: Jessica, Daniel and Travis. Dr. Kimple and his nurse, Laci Wichers. Dr. Kimple is available to see patients Monday thru Friday by appointment.